We would like to thank you for visiting our website and invite you to see for yourself the capacity of our tree care, excavation, and demolition company. We are a family owned and operated company with nearly 30 years experience serving folks throughout Houston, Texas. We offer excellent customer service, competitive prices, and we aim to fit your schedule. Call us at 281-820-8027! No matter the job size ONE CALL DOES IT ALL with JRP Services! There is simply no substitute for experience when it comes to hiring a company to provide Houston tree trimming, Houston tree removal, or a related service. JRP Tree and Demolition has offered affordable tree services in Houston for more than 30 years. Our customers know that we provide quality service, fair prices, and exceptional service. Since we only serve Houston and the surrounding communities, we’re intimately familiar with the trees that grow in this area. We invite you to learn more about the benefits of our Houston tree services company. 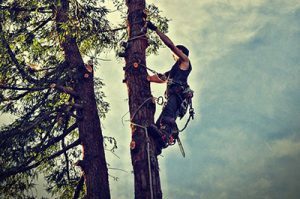 One of the biggest things that sets JRP Tree and Demolition apart from the competition is that we have obtained the skills necessary to become a certified arborist through the International Society of Arboriculture (ISA). The ISA imparts valuable skills to its members and its seal of approval means that we consistently exceed its standards. Arborists trained through ISA to provide Houston tree removal and Houston tree trimming always have safety at the forefront of their minds. As ISA certified arborists, we maintain a strong focus on research because this encourages the growth of healthier trees and a more environmentally sound economy. No matter why you need Houston tree removal or stump grinding, we urge you to contact the professionals rather than attempt to do it yourself without the proper training or equipment. The lack of experience and tools needed for the job can result in consequences such as a tree landing on a roof or breaking a window. We also provide clean-up of all debris from your demolition job. It’s our goal to make it look like we were never there at all. Any company can say it’s the best with no ability to support this claim. Feel free to look up our Yelp reviews to see what other customers have said about our Houston tree services. We would also like you to know that we carry a Texas business license, insurance against property damage and injury, and our employees have undergone the bonding process. Our Houston tree services company offers free estimates to all new customers. Please contact us to learn more about Houston tree removal, Houston tree trimming, and the many other ways we can serve you.